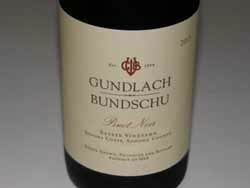 Gundlach Bundschu was known primarily for their red wines - Merlot, Cabernet, and Zinfandel - which were respectable, but Pinot Noir was an afterthought. A pivotal moment came in 1997, when the winery acquired 140 acres adjacent to their existing vineyard. Jim and son Jeff agreed at this point that they needed to raise their wine quality ambitions as they began the development and integration of this new property. Phil Freese and Zelma Long were hired in 2000 to assist in development of a master transition plan for the vineyard. In 2001, the vineyard and cellar management practices were overhauled. More than 150 acres of the estate have been planted over the last 10 years, including 25 acres of Pommard 5, Dijon 115, 667, and 777 clones of Pinot Noir on the valley floor. Rhinefarm Vineyard now has 320 acres under vine, farmed in more than 50 distinct blocks. 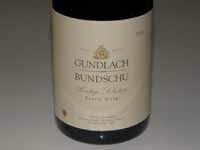 Total production at Gundlach Bundschu has been reduced from 75,000 cases to approximately 45,000 cases (25,000-35,000 cases of estate wine and the rest under the winery’s second label, Bearitage). This is part of the new commitment to quality estate wine production and the desire to leave behind wines whose quality no longer meet the winery’s standard. Gundlach Bundschu has partnered with Wilson Daniels to enhance distribution and marketing. Despite the new committment to quality, the Pinot Noirs from the estate that I have tasted have been mediocre. 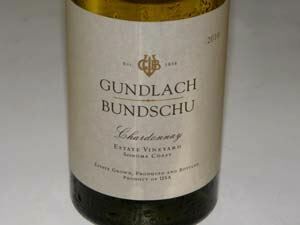 In 2008, Gundlach Bundschu is celebrating 150 years, California's oldest family-owned winery. The tasting room at 2000 Denmark Street in Sonoma is open daily 11:00-4:30. Cave and vineyard tours are available by appointment (707-938-5277).